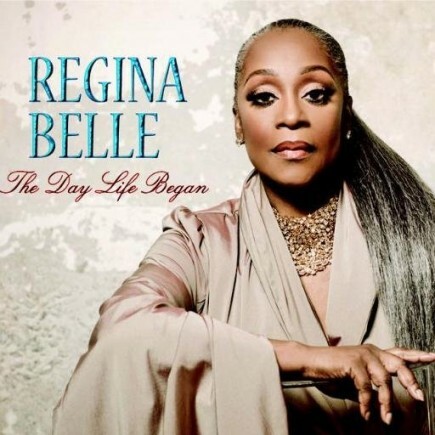 Regina Belle | The Day Life Began - TheUrbanMusicScene.com | Music Reviews! If there were an artist who is living out their life purpose on and off the stage, Regina Belle has experienced a great deal with style and grace. Though she has balanced her role as a wife, mother and grandmother, recently majored in Africana studies and survived brain surgery just a few years ago, she has managed an impressive recording career of several top 50 R&B albums and earning a Grammy for her stirring duet with Peabo Bryson, “A Whole New World” from Disney’s Aladdin. In addition to her opera training, this gifted vocalist is comfortable in R&B, jazz and gospel, while maximizing passion in everything she conveys and choosing her material wisely. Besides trademark hits like “Show Me the Way” and “Make It Like It Was,” Belle successfully charted with covers by Teddy Pendergrass and The Isley Brothers. On her previous two releases, she returned to her gospel roots, a move that was fully embraced by longtime fans and gospel radio. In continuation to fulfill life’s purpose, Belle bridges all her musical strengths and solid songwriting skills for The Day Life Began, guided by veteran producers Jamie Jones and Jack Kugell, AKA The Heavyweights. The title track is a classy contemporary jazz ode that celebrates “the day that one found good love,” decorated with pleasing backing vocals. On another musical plain, “He’s Alright” puts the funk down in this nod to Belle’s trust in Jesus Christ and her fluency of gospel music: “This peace, this joy/The world did not give it to me.” In a rare disappointing moment, “You Know How to Love Me”, a 1979 disco hit by another respected urban stylist, Phyllis Hyman, offers little from the original, despite Belle’s vocal wherewithal. However, another disco-fueled track, “Open Our Eyes,” pointing out the overdependence upon cell phones and social media, finds Belle excelling with her vocal prowess considering her reputation with the slower jams. The Day Life Began is more than appropriately titled, drawing upon Belle’s experience of raising a family, maintaining a lengthy marriage and strongly exercising her faith in Jesus through the triumphs and the trials. This particular journey for Belle is quite commendable, because she knows how to keep it real by utilizing her talent and fulfilling her sincere purpose in life. One Response to "Regina Belle | The Day Life Began"